Planning to buy tennis equipment? Well then, purchase the best to play like the best. Yonex, the Japanese bigwig who has spent 72 years honing the art of sports equipment design, is one of the best brands to consider when looking to purchase tennis equipment. Not just tennis, but Yonex has a phenomenal tradition of designing, manufacturing and selling sporting goods for a variety of sports which also includes badminton and golf. Today, the renowned company carries an extensive range of products from racquets to sports shoes and grip tape to bags. Yonex’s quality is bar none and this is why it is the trusted choice for many iconic tennis players who use their products during World Championships and Tennis Opens. Founded in the year 1946 in Tokyo Japan by fishing net manufacturer Minoru Yoneyama, the company began manufacturing badminton racquets in 1957. Soon, as its popularity increased and worldwide appeal took flight, Yonex stepped into the tennis equipment game, producing racquets, balls, grips and other accessories. Currently, the company is one of the premier manufacturers of world-class tennis equipment, whose products are used by legends like Martina Navratilova, Stan Wawrinka, Martina Hingis, Angelique Kerber, Nick Kyrgios, Yoshihito Nishioka, Leander Paes and other star players. A testament to Yonex’s amazing quality is its partnership with the Olympic Committees of Singapore and Malaysia, where the company is the sole supplier of sporting goods and accessories for tennis, badminton and golf. Yonex has an extensive selection of products for players to choose from. The company has 5 unique ranges of racquets – VCORE, VCORE Pro, EZONE, ASTREL and Junior – which are designed for players with every playing style and which offer unmatched stability, control, and feedback with every ball. The company is also a beloved producer of sports footwear, which utilizes state-of-the-art technology to give players the maximum comfort, flexibility, cushioning, grip and curvature. 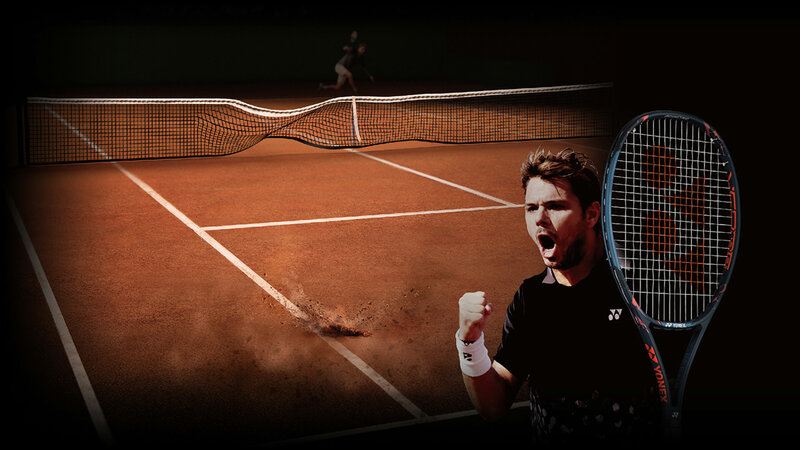 Legendary players like Stan Wawrinka regularly use Yonex footwear both on and off the court. Yonex also has a wonderful collection of tennis balls, wristbands, supporters, towels, tennis grips, cushion wraps, vibration stoppers, stencil cards and stencil ink among other products, which every player and coach will benefit from. World Tennis is a qualified and licensed supplier of Yonex products in California. We have our retail store right here on Miami Beach. We stock a wide range of Yonex tennis products in a variety of styles and designs. Our team of highly-experienced product advisors is more than happy to assist you in making a purchase decision. Feel free to contact us for more information and do visit our store to try our products.